Resolutions aren’t just for the New Year! I’m always thinking about ways I can reset my goals each season; there is something about the shift that makes me feel ready to start fresh! 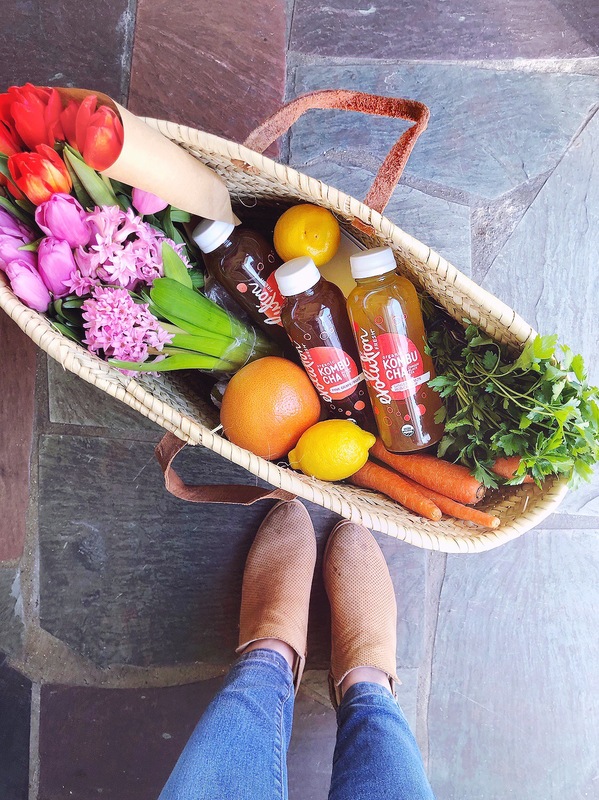 One big goal I have as we enter spring is to be a little bit more mindful about my healthy choices, and I have a little bit of a springtime wellness “bucket list” I’ve been thinking about as the weather gets warmer! Since my job revolves around food and drink – it’s the best place to start! Dieting has not historically been something that works very well for me, so I’ve been trying to focus on simply filling my (reusable!) grocery tote with better options. Spring makes it WAY easier to make those healthy choices with all of the delicious produce that’s going to be popping-up after the snow melts. As soon as the first farmer’s market starts, I’m there! One of my worst habits is less about what I eat and instead more about what I drink. I admittedly find myself many times a week realizing that I made it until dinnertime only having consumed caffeinated beverages like coffee and diet soda. I’m trying to be better about this by stocking my fridge with some better-for-you alternatives! My friends at Evolution Fresh recently shared their 100% organic Kombucha with me and it’s delicious. 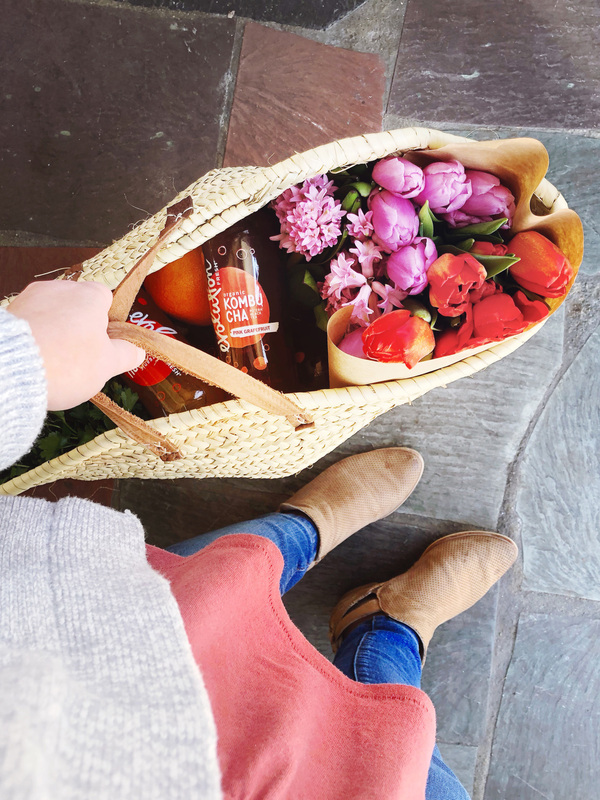 I love the Pink Grapefruit Kombucha flavor – it’s got just a touch of sweetness from the cold-pressed fruit, and the sparkling element of the drink makes it quite satisfying to drink. The Ginger Lemon Honeycrisp Kombucha is another favorite — the flavor has a little wake-me-up kick of ginger that makes it perfect to sip on while I’m getting work done. 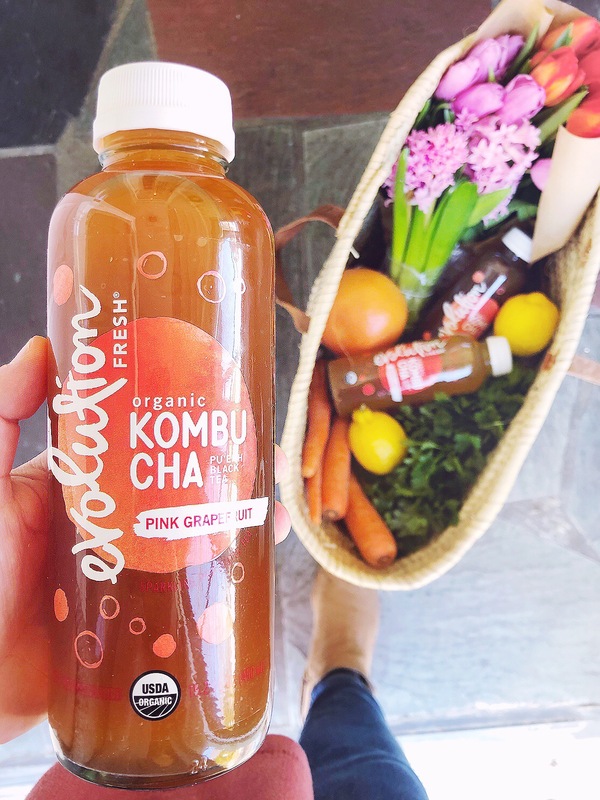 Trying the tasty Evolution Fresh drinks was a good lesson for my wellness journey – I can be really stuck in my ways sometimes and trying new things, like these Kombucha flavors, introduced me to something I quickly found to enjoy! I’m trying to apply that to other areas of life too – like trying some new workout classes this spring, and maybe getting a bike to ride into town – that will push me outside my comfort zone! Do you have any springtime wellness goals you’re working on? 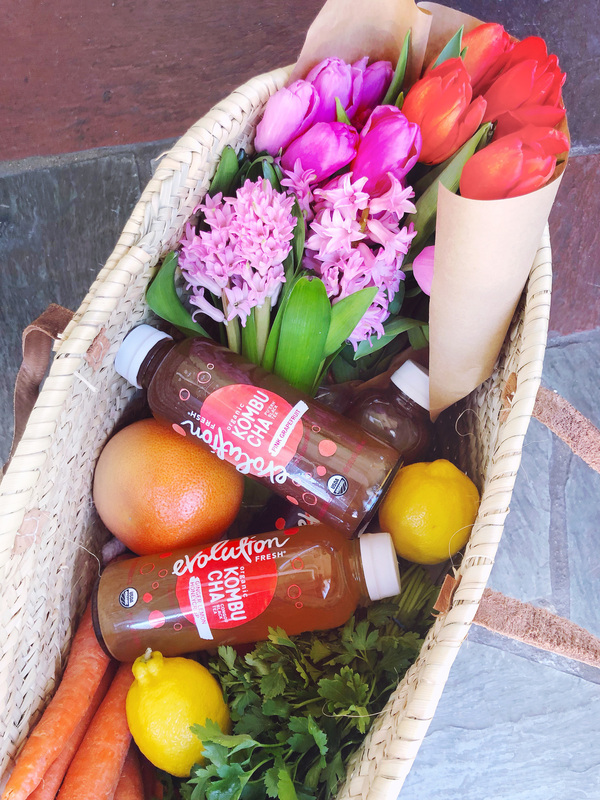 PS: Click here to find Evolution Fresh near you (I get mine at Shaws!). Please note: This post was created in partnership with Evolution Fresh. All opinions, images and content are my own, thank you for supporting brands that support this site! The Download – 03.18.19 Financial Literacy with the FutureSmart Challenge.